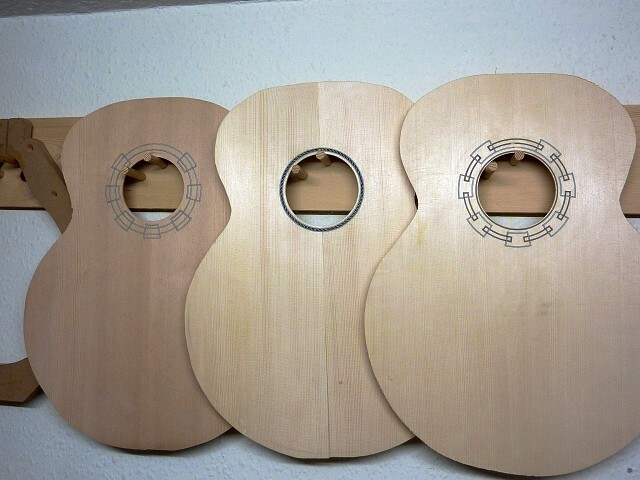 Blip from Mr M's workshop - three guitar tops. One in Sitka spruce, the other two European spruce. Beautiful inlay around the sound holes.